The new channel, slated to launch November 1st, will showcase footage from NASA missions and the International Space Station. According to NASA, the new NASA TV UHD will broadcast high-resolution images and video footage from both current and past NASA missions, as well as from the International Space Station. It will broadcast at full Ultra HD resolution (3840 by 2160 pixels) at 60 frames per second, and NASA says the channel will “showcase the breathtaking beauty and grandeur of space.” Neat. 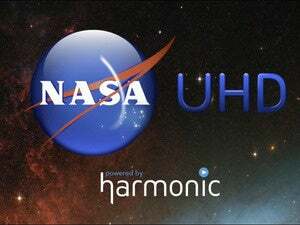 The channel itself is part of a partnership between NASA and Harmonic, a company that produces equipment for distributing video. NASA plans to launch the new channel on November 1st, assuming its pre-launch testing goes smoothly. Negotiations to bring NASA TV UHD to cable and satellite TV lineups are ongoing, but NASA says it will also provide an online video stream of the channel, though you’ll need a 13-megabit-per-second connection or better in order to do so.